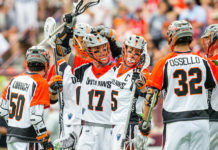 After squeezing into the 2018 MLL Playoffs following a narrow 13-12 victory over the Atlanta Blaze (7-7) in their final regular season game, the Denver Outlaws (8-6) meet the Chesapeake Bayhawks (9-5) in the semifinals of the 2018 MLL Playoffs. The Outlaws will look to advance to the championship game for the third consecutive year, after winning the Steinfeld Trophy in 2016 against the Ohio Machine, and falling in a rematch against the Machine in 2017. In what’s expected to be nothing short of a high-scoring affair, the Outlaws will look towards veteran attackmen Eric Law (58 points) and Matt Kavanagh (50 points) to lead the way offensively for the Outlaws. 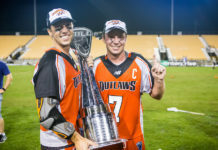 Outlaws Rookie of the Year nominee Chris Cloutier has been activated from injured reserve to the 25-man roster and will be eligible to play on Saturday in his first MLL playoff appearance. However, the Outlaws will not know if he is able to attend the game until Friday. If Cloutier is able to make the trip with the team and play on Saturday, he will provide a large offensive boost to the team, scoring 40 points in six games played during the regular season. 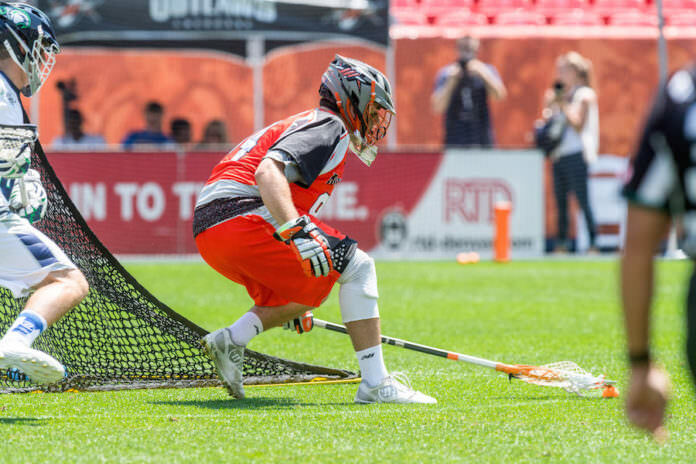 Following a late-season injury to Outlaws goaltender Jack Kelly during the 2018 FIL World Championships, the Outlaws will be relying on another big performance from goaltender Dillon Ward after a 15 save performance in the playoff-clinching victory against the Atlanta Blaze. Following a few seasons of not being able to qualify for the postseason since claiming the Steinfeld Trophy in 2013, the five-time Steinfeld Trophy winning Bayhawks have stormed into the 2018-19 season with something to prove — and it has been evident by their high offensive powered style of play, and shutdown goaltending from Nick Amato. Leading the way offensively for the Bayhawks have been attackmen Colin Heacock (38 points), Josh Byrne (30 points), and midfielder Myles Jones (38 points). Outlaws fans will be able to catch this highly-anticipated playoff game this Saturday, August 11th with faceoff scheduled for 5:30 p.m. EST (3:30 p.m. MDT) on Lax Sports Network, or by following all of the action on the Denver Outlaws Twitter page.